MAHI's name comes from the majestic pelagic fish also known as mahi-mahi, dolphin fish or dorado. It is an acrobatic ocean predator found in offshore temperate, tropical and subtropical waters all around the globe. 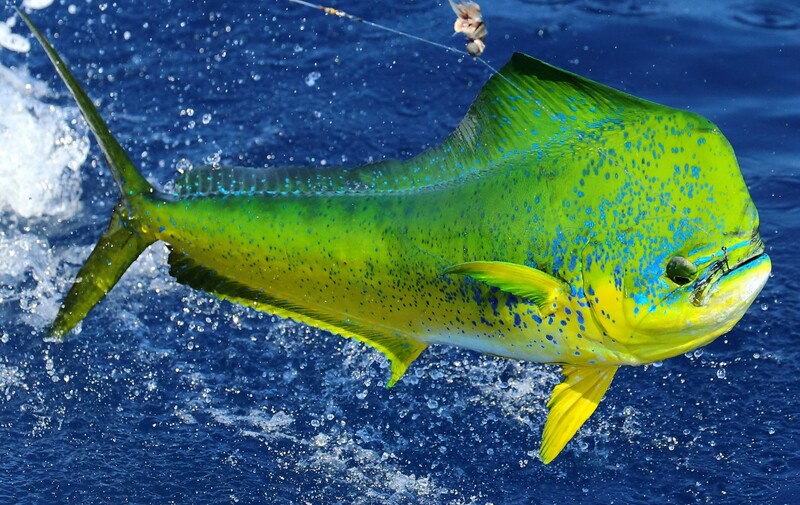 The mahi-mahi is one of the world’s hardest fighting game fish, when hooked it tries to get off the hook by leaping meters out of the water. It can reach speeds up to 50 knots. The name mahi-mahi comes from Hawaii and means ‘the very strong one’. One of the most spectacular features of the mahi is it’s colourful appearance. When excited, it changes colour from shades of blue colours ranging from golden to green to iridescent blue. Our project is named after this fantastic looking creature for a couple of reasons. The mahi-mahi is a hard fighting fish that will do whatever it takes to achieve its goal, even taking itself to the skies. The mahi-mahi can be found all around the globe in the deep blue waters. The mahi-mahi symbolizes the pure and unspoilt oceanic environment. The mahi-mahi inspires many with its elegant, slender and colourful body.